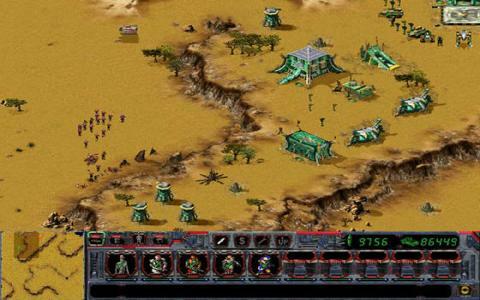 Dominion: Storm Over Gift 3 is a 1998 real-time strategy game set in a futuristic world. A message says that a powerful artifact can be found on the Planet Gift 3. Thus, four races (The Humans, Darkens, Mercs, and Scorps) are heading there to take that artifact by force. 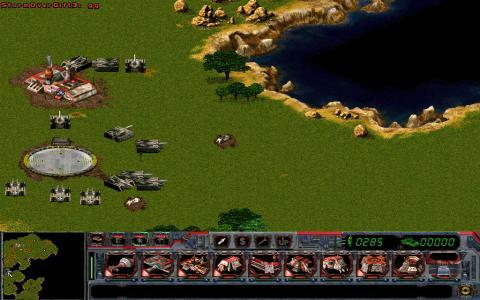 You choose only one race, and the gameplay consists in fighting with various enemies that want to stop you from conquering the treasure. I have to say that it doesn't make any significant difference when it comes to picking up the races, because if you complete the game with one of them, choosing another one will give you the same experience. 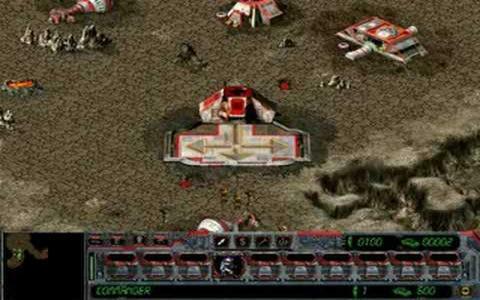 The game contains RTS elements and traits based on the possibility to build various structures, making upgrades, and annihilating threats. Unlike other real-time strategy games, in Dominion you don't have to discover resources. You must build Refineries responsible for extracting the desired and necessary sources. To construct a Refinery, you must first build a Colony, and before that a Power Plant. 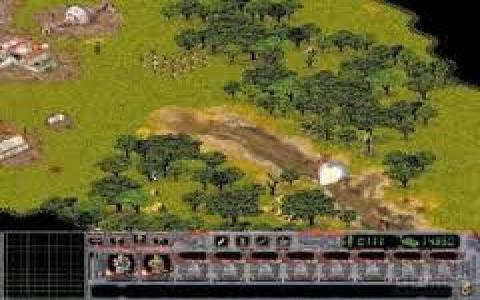 One of the superior aspects that makes this game worth playing is the artificial intelligence, which is well-created and intuitive. The game has three difficulty levels, and I assure you that the last level will make the game impossible to play. I say this because the difficulty is to high, and you will not be able to cope with the numerous enemies that won't let you gasp for breath. So, choose wisely when it comes to the difficulty level. A few hours a day will be worth spending with this game, even if it has some negative or inconvenient features.